The Financial Industry Regulatory Authority (FINRA), the largest independent regulatory authority in the US, has appointed a new Public Governor to its Board of Governors, enlisting Charles I. Plosser, the former President of the Federal Reserve Bank of Philadelphia, according to a FINRA statement. 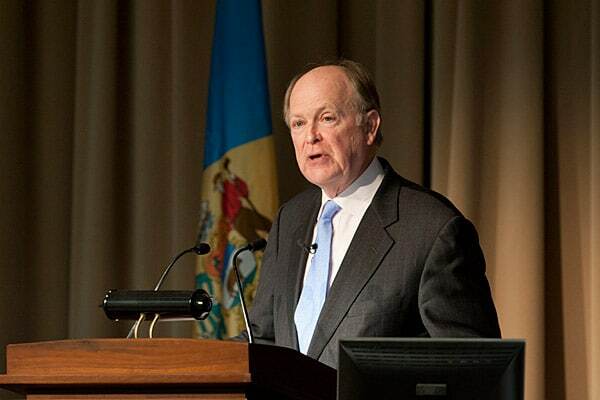 Mr. Plosser joins FINRA’s Board of Directors having most recently served as the President and Chief Executive Officer (CEO) of the Philadelphia Federal Reserve Bank for nearly nine years up until his retirement in 2015. In this capacity, Mr. Plosser helped navigate the branch through the biggest financial crisis and recession in the US of our generation. In addition, Mr. Plosser served as an integral component of the Federal Open Market Committee (FOMC) during his tenure. Over his career, Mr. Plosser has worked as a senior consultant to several corporations in sectors such as strategic planning and forecasting, portfolio and pension fund management, capital budgeting, and financial analysis. He also served as a member of the New York State Board of Economic Advisors and on the board of directors of ViaHealth, Inc. and RGS Energy Group, Inc.
FINRA is currently overseen by its Board of Governors with twenty-four members. Thirteen of these roles are held by public governors and ten by industry governors, with FINRA’s CEO holding the remaining seat. All FINRA governors are appointed or elected for three-year terms and may not serve more than two consecutive terms. FINRA made headlines earlier this year when it levied a fine against Goldman Sachs Execution & Clearing, L.P., a subsidiary of the banking giant Goldman Sachs, for a sum of $1.8 million. The order stemmed from a systemic Order Audit Trail System (OATS) reporting violation at Goldman Sachs.